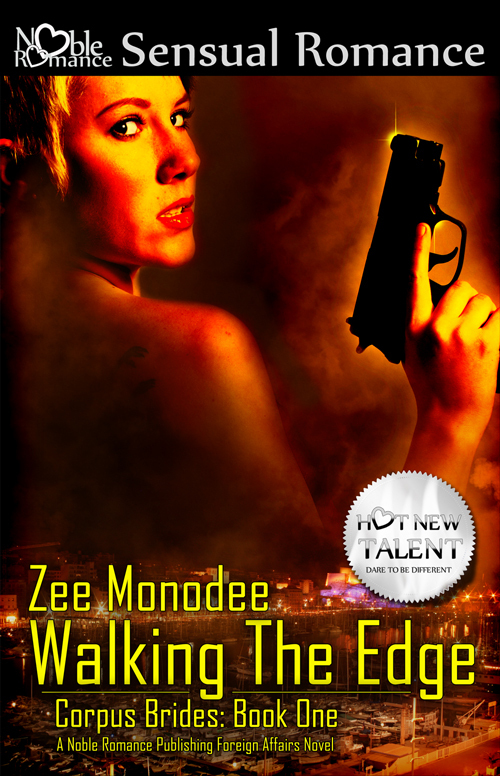 Check out the fabulous cover Noble Romance has granted me for Walking The Edge! Edgy and totally spiffy, innit? Fiona Jayde, the talented cover artist, hit the nails right on the head with this one. The cover sums up the story remarkably - showing off that suspenseful edge and the roiling, hot fiery colours harness the turmoil in that plot! Note also the image of Marseille at the bottom. I am totally stoked by this design! On to the week's progress now. Hampered in my stride for the past 2 days, since I came down with the 'cold of the century' that's left my brain as mush. If I try to concentrate too much, my forehead erupts in blinding pain, so you can see how that's conducive to writing, innit? Still, quite chuffed as I have hit a pretty reasonable word count - 5,817 words, for 3-4 days of work. And that's only like 1-2 hours a day. Where in the past I used to think that I'd need hours of uninterrupted time to slug through, well, turns out it's all in the determination you bring to the table and the keyboard. Like I had mentioned on Monday, a little here and a little there add up to making a whole quite quickly. I'm 12% through on this WIP now, which I've titled Against The Odds. So far the characters are talking to me like we're BFFs - let's hope we don't turn on each other a la Paris Hilton and Nicole Richie in the future. What have you got planned for this second weekend of June? PS - Side note: jump on here Sunday, when I'll start putting up quips from Walking The Edge as part of Six Sentence Sunday!